This is the fourteenth annual report on planning permit activity in Victoria. A detailed summary of statistical information for the 2016-17 financial year, the data is provided by the 79 local government authorities, the Minister for Planning and the Victorian Civil and Administration Tribunal. the 82 individual planning schemes. The figures in this annual report do not contain data from Hepburn Shire Council. This Planning Permit Activity Report presents four levels of data, a list of the planning schemes that comprise each level of reporting can be viewed here (PDF, 266.2 KB). The permit activity occurring within each local government area is aggregated to provide a statewide summary position. 16% of permits issued involved a change in land use; most of these to a residential use. 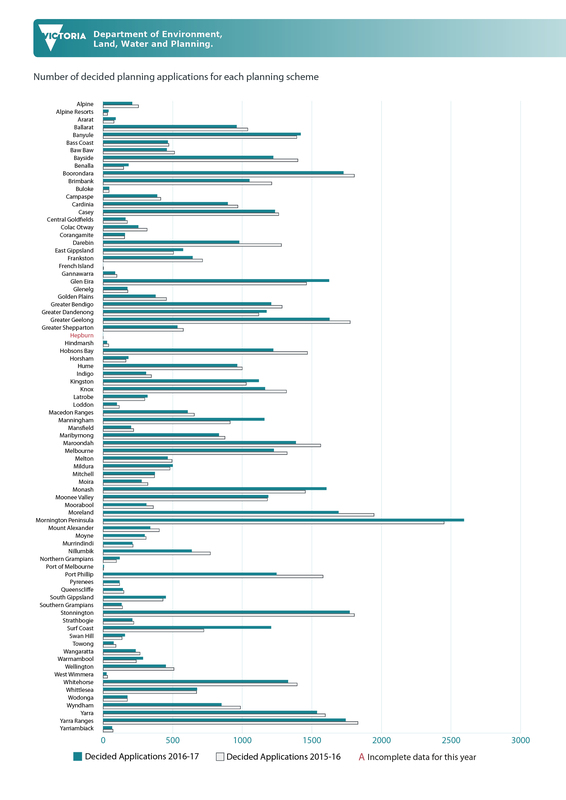 List of planning schemes included in regions and subregions (PDF, 266.2 KB). 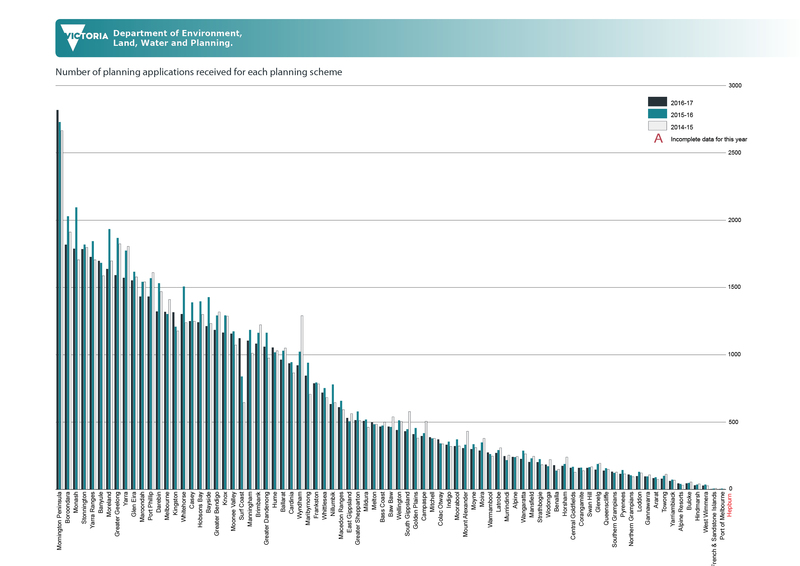 This chart shows the number of decisions made in each of the 82 planning scheme areas. Click the image for an enlarged PDF of the chart.